“Lenovo has never been a big name in gaming, but it’s keen to change this with its new range of ‘Legion’ gaming laptops” (page TrustedReviews). With the sharp looks and a unique focus on virtual reality experiences, page TechRadar considered the Lenovo Legion Y720 a very alluring mid-range gaming laptop. 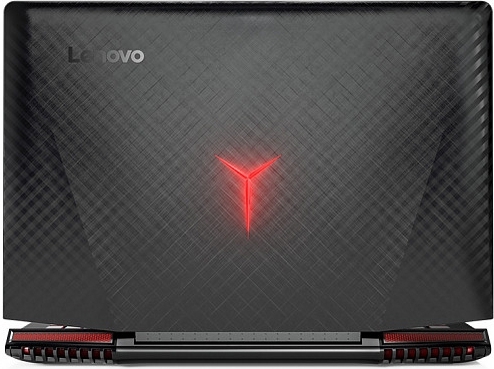 Although Lenovo’s reputation is not for gaming laptops, they made real efforts on the Legion Y20. For instance, the IPS panel of this laptop is much better: the Nvidia GTX 1060 graphics card is so powerful, or even the sound is extremely exceptional with Dolby Atmos. Not yet, the most amazing for every gamer, as an exciting statement from page TrustedReviews, is the built-in support for wireless Xbox One controllers which could help us connect the gamepad without any dongles. Is it interesting enough? Let’s find out the pros and cons of this laptop. “Take one look at the Legion and you know it’s a gaming laptop.”, said page Stuff.tv, “Those bright LED lights, colossal display, and prominent speaker grilles are anything but subtle”. 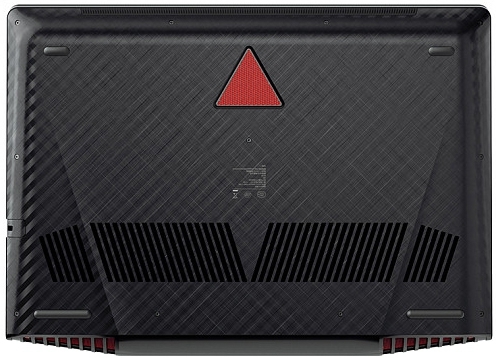 Yet, following the previous design concept of the Y-series gaming laptops while carrying some similarities from the Y520, according to page LaptopMedia, the Legion Y720 finally looks like a complete product with very little or even unnoticeable design flaws. Page TechRadar evaluated that this notebook retained much of the design of its predecessor with an all black and red color scheme: “There are some slight differences with the Legion Y720 being slightly thinner and sharper”. 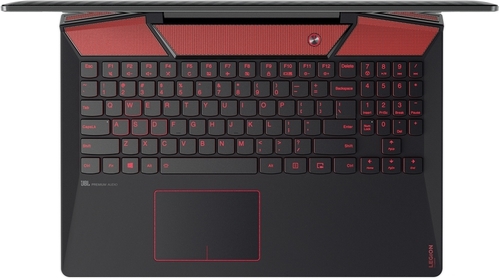 This page also added that the Legion 720 also adopted many of its design cues from Lenovo’s largest gaming laptop ever - the IdeaPad Y900, including the central hinge and an optional four-zone RGB keyboard. As a comment on page TrustedReviews, the Legion Y720’s design is pleasant but pretty safe: “It has all the staples of gaming laptop design, such as RGB lighting, and angular lines to give the Y720 that aggressive look typical of these types of laptops”. In the perspective of the reviewer from Stuff.tv, the Legion Y720 has a lot of common with the Alienware 15: When the lid is closed, it’s fairly unobtrusive (yet serious chunky), but open it up and the lashing of red are guaranteed to get us noticed. In addition, LaptopMedia also complained that the Y720’s lid, like all brushed aluminum surfaces, is a fingerprint magnet: “Opening the lid requires both hands as the center hinge is a bit overly tightened but feels a lot more stable than before”. Meanwhile, the reviewer of TrustedReviews showed his mind that the gaps between the screen and body when open seemed a little weird to him, but overall the Y720 striked a nice balance between eye-catching design and sensible practicality. Also, it’s on the chunky side for a laptop with just a GTX 1060 inside. Talking about the display, LaptopMedia gave a minus point for the Legion Y720: They had been pretty surprised to see that the Legion Y720 sported the same AH-IPS panel from the LG that they had found also in the Legion Y520. The reviewer from this page said: “To be honest, this is disappointing because the considerably cheaper Y520 offers a decent IPS panel for its price range while the same just isn’t enough for the premium Y720”. Also, unexceptionally, page BudgetGamingLaptop showed their mind that this laptop is like most sub-$1500 laptops, and one of the positive aspects of this laptop is the 15.6 inch display. Although it’s not 4K, the Full HD resolution is perfectly suitable for laptop’s screen real-estate. The panel being utilized by the Lenovo Legion Y720 is a well-lit IPS panel, providing viewing angles up to 178 degrees. “Don’t get us wrong, the display quality is good but it’s really not enough considering the price range of the Legion Y720 - it definitely works for the lower-priced Legion Y520 and even the Lenovo V510 but not in this case. The most noticeable drawback would be the limited sRGB coverage, lower than usual contrast ratio, slightly below average maximum luminance and the presence of PWM (screen flickering) from 0 to 99% brightness”, LaptopMedia concluded about the Legion Y720’s display. In general, the Legion Y720’s keyboard made us feel great when typing on it. Nevertheless, the reviewer of Stuff.tv supposed that he wasn’t convinced the multi-colour backlighting being worth paying extra for. Also, “The keyboard is practically the same as the one we saw in the Y520 - gaming-oriented layout with big arrow keys positioned below the Numpad area, long key travel with excellent feedback and highlighted WASD keys” (LaptopMedia). 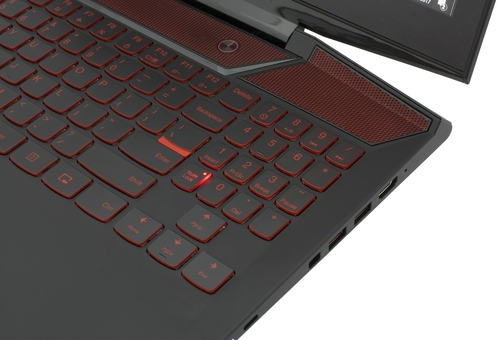 Regarding the BudgetGamingLaptop, the Lenovo Legion Y720 laptop comes fitted with a gaming grade keyboard: “It has great key travel, along with 30-key rollover to avoid ghosting. The keys are nicely spaced and textured to allow maximum comfort”. Beside that, they added that we also get an RGB backlight to light up all the keys in style. About the touchpad, “They finally fixed the touchpad. It doesn’t wobble anymore, it’s responsive, clicky and accurate. The plastic surface of the trackpad area might get in the way if your fingers are moist but it will do the job just fine”, LaptopMedia stated. Thus, the mouse buttons are integrated and not visible. As reviewed on page NotebookCheck, the sound the clicks produce is acceptable at normal ambient noise levels, but in quiet environments, we noticed a short, high-frequency mechanical sound. And the click travel distance is not uniform and decreases towards the corners. 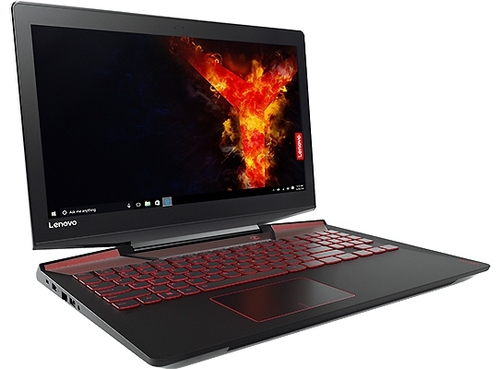 The Lenovo Legion Y720, as commented on TrustedReviews, has all the latest chips: Intel Kaby Lake for the CPU and an Nvidia Pascal-based GPU. The CPU is the Core i7-7700HQ, which runs at 2.8 GHz, and the GPU a 6 GB of VRAM GTX 1060. LaptopMedia reported the gaming test on this notebook: It reached 60 fps on Full HD (with Very High textures) on GTA V, 42 fps on Full HD (with Very High texture) on Rise of the Tomb Raider (2016), and 50 fps on Full HD (with Ultra textures) on Tom Clancy’s The Division. For TrustedReviews, “Other specs include an optional 4K display, but this probably won’t be enough to run games at the native 4K resolution of the 17-inch screen, but should be fine for 1080p gaming. It also has enough power and memory for VR gaming, albeit not at top quality settings”. Got a positive evaluation from BudgetGamingLaptop, the reviewer said that although the GTX 1060 was much more powerful than the previous generation 980M flagship GPU, it was inferior to the GTX 1070. Nevertheless, we can expect to do great gaming with the GTX 1060. Also on this page, they remarked: “In reality, 8 GB of RAM is more than enough for any gaming-related use. However, the Legion Y720 laptop comes with a double of that. 16 GB of RAM makes sure you can perform heavy tasks like image editing and video encoding. More also means much better multitasking experience”. “The built-in Xbox One wireless receiver lets you see up to four of the console’s controllers at once, without having a mess of wires trailing from players to laptop” (quoted from Stuff.tv). In the same viewpoint, TechRadar gave their comment that the build made it a VR ready machine and Lenovo was making hard push in this particular field: “Lenovo’s new Entertainment Hub software came bundled with the Legion Y720 and on top of gathering all your media and games together into one place, the program also enables to you to enjoy movie and games in virtual reality even if they haven’t been designed for it”. Also, this page evaluated there are certainly some obvious flaws in this converted experience: “For one thing a traditional mouse or controller is a more more familiar control scheme and feels a lot less junky than trying to keep your head still. Secondly, to “upscale” a game for VR, the Entertainment Hub essentially duplicates the picture at a slightly different angle and in the process ends up cropping out part of the frame”. According to NotebookCheck, the Legion Y720 does well when it comes to the temperatures at idle as well as underload, the surface temperatures remain at very acceptable levels. For keeping your laptop cool under all conditions, like a comment on BudgetGamingLaptop, the Legion Y720 comes fitted with a dual fan copper heat pipe based heat dissipation system, and this makes sure our laptops perform optimally all the time. “Finally, Lenovo made an effective cooling solution for its 15 inch gaming laptop that’s able to support not only the high TDP core i7-770HQ but also the powerful GeForce GTX 1060 GPU as well” (LaptopMedia’s review). In order to simulate real-life conditions, as the battery life tests of page LaptopMedia, they used their own script to automatically browse through over 70 websites: “Just about the average for a gaming laptop - 350 minutes (5 hours and 50 minutes)”. As the result of the real-world battery life tests from NotebookCheck, they simulated web surfing: “With the brightness set to 150 cd/m2, the review model lasted for 6 hours and 20 minutes - good enough”. 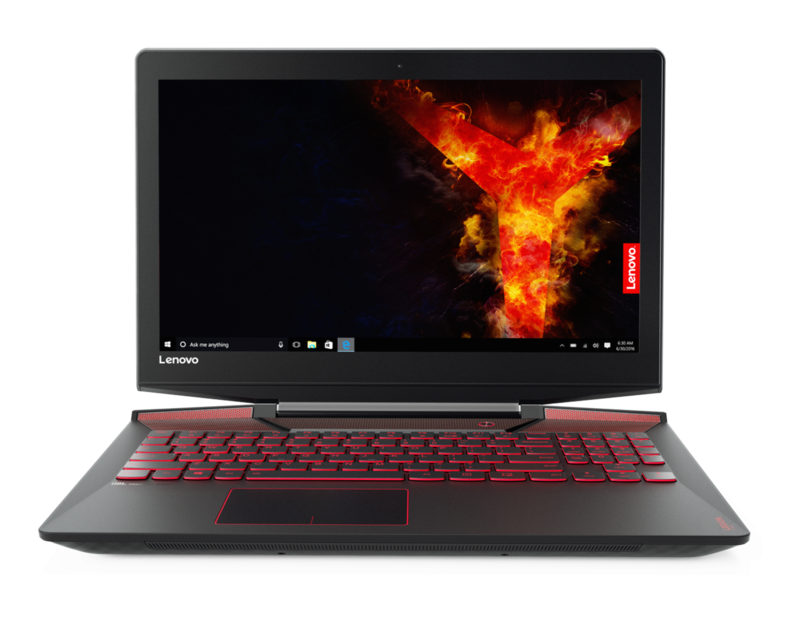 The Legion Y720 almost delivers what Lenovo promised from the start and we wonder why the Y520 didn’t have some of those features, like the cooling system, for example. Either way, the Legion Y720 offers updated thin and robust chassis featuring brushed aluminum, much better cooling system than the one in the Y520, more powerful GPU (GTX 1060) and better sound quality with Dolby Atmos. All of this justifies the price premium but unfortunately, the display is a big miss. 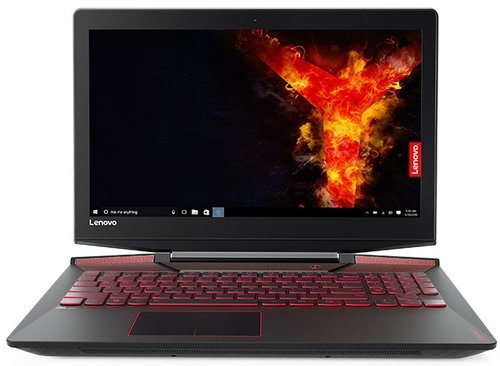 You should be able to pick up a Legion Y720 in April, but there's no word on price just yet. We're planning on giving it a full review a little closer to launch, though, so make sure to check back once we've given one a proper gaming workout. As of right now, it seems that the 15-inch Y520 model is missing most of these high-end extra features, and only supports the Nvidia 1050 graphics chip, which means it won't work with the Oculus Rift or HTC Vive. Considering other PC makers put Nvidia 1060 or better GPUs into even 13-inch laptops, it seems like something we'd like to have in a future revision. Even the 17-inch tops out at the Nvidia 1060, not the faster 1070 or 1080, but in my hands-on testing in other laptops, the 1060 is perfectly fine for virtual reality and full-resolution, high-detail-level gaming. Positive: Premium design; powerful hardware; hgh gaming performance; excellent display; good speakers; full connectivity. Negative: Uncomfortable keyboard; relatively high price. Positive: Powerful hardware; good cooling system; good display. Negative: Mediocre speakers; average speakers. Positive: Decent hardware; nice display. Positive: Good ergonomy; nice cooling system; excellent speakers. Negative: Poor display; relatively heavy. Positive: Slim size; metal case; decent ergonomy; good cooling system; nice speakers. Negative: Poor display; relatively heavy. Positive: Stylish design; powerful hardware; high gaming performance; nice display; compact size; light weight. Positive: Solid workmanship; elegant design; decent connectivity; nice speakers; good performance. Negative: Uncomfortable keyboard; poor display; no card reader slot. Positive: Impressive design; powerful hardware; high gaming performance; comfortable keyboard; excellent speakers; good cooling system. Negative: Thick frame; easy getting fingerprints. 75% Lenovo Legion Y720 - co potrafi najmocniejszy model gamingowej serii Lenovo? Positive: Attractive design; great built quality; nice display. Positive: Large screen; decent hardware; nice gaming performance; solid workmanship; good connectivity. Positive: Large screen; solid workmanship; powerful hardware; high gaming performance; nice display; good speakers. Positive: Powerful hardware; high gaming performance; excellent speakers; great display. 62% Test du Legion Y720, l'incursion de Lenovo dans le monde du PC portable gamer est-elle payante ? 75.58%: This rating is not convincing. The laptop is evaluated below average, this is not really a recommendation for purchase.» Further information can be found in our Notebook Purchase Guide.